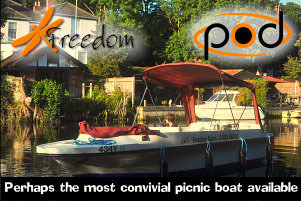 The market for private boats is often for smaller 2 to 4 berth types. The folk who can afford a boat tend (not always) to be older and maybe want it for a couple and maybe grand kids occasionally. Certainly larger boats do sell but I suspect that when the bigger boats do eventually get sold off they will not command such a premium as the 2 - 4 berth types. Certainly when we were looking at the Alpha 35 centre cockpits we found that there was no price difference between the 35's and the 42's. We steered away from the 42's as we really don't need a third bedroom but also as has been mentioned that finding a 42ft mooring on visitor moorings where we are would soon become a bind whereas with the 35ft boat we would have more of a chance, although it would still be very much more difficult then squeezing our current little 23ft boat into Twit gaps. 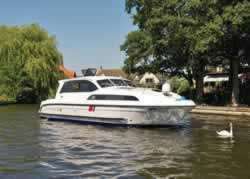 "Will not pass under Beccles Old, Potter Heigham, Wayford or Wroxham bridges. 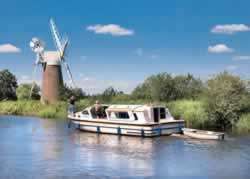 Will pass under Ludham bridge subject to weather and tide conditions." 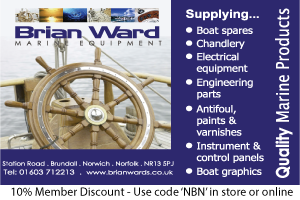 That's the first time I've seen any of the hire yards include Wayford Bridge in their list. And they've added a warning about Ludham Bridge as well. 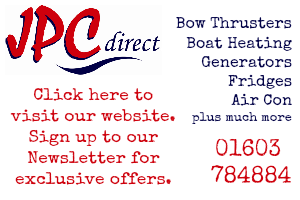 Checked out one or two other sites and found similar on Norfolk Broads Direct. 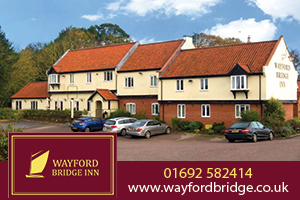 About time they added Wayford Bridge to the list really. They could have added that it won't pass under potter Heigham new bridge either. I notice that Richardsons have mentioned Thorpe railway bridges. Can't say that I have seen them mentioned anywhere else. 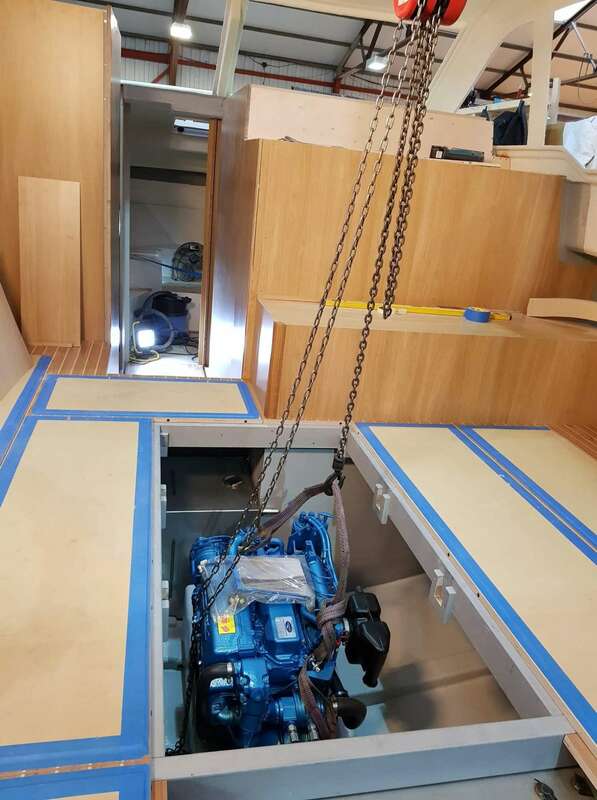 Looking at the pics of the interior fitout, this is very much a boggo Woods build so will be quite different from the Broom boats (no great surprise there, admittedly). 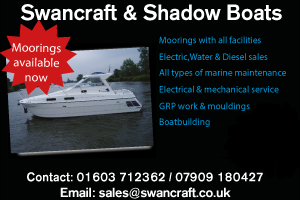 Every time we have hired a boat we have always wondered who set of that typical hire boat interior of a lighter wood veneer with dark wood cappings on everything and trims around cupboard doors and the finger hole draw pulls. It is almost universal on hire boats. Even the shed we hired in Brittany had the same fit out. The simple answer I think is that it ages reasonably well and is durable and relatively inexpensive. 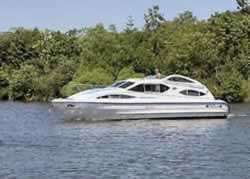 Hireboats take an unbelievable amount of punishment so they need to be built to take it. It is a bit 1980's though. There must be a suitable alternative in this day and age that is well more modern looking, but still able to put up with the rigours of years on hire. They really are built that way for a reason. That's why the Broom ones have got so wrecked by them trying to be 'clever'. Like the 'boggo' word, sums up what you mean very well. What do you mean by Brooms being 'wrecked'? 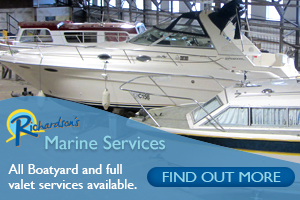 The Broom hire boats were built to a private spec and are very difficult and costly to repair. The fancy electric sunroofs have now been disconnected as they kept being taken off on bridges. For a Woods build she looks pretty smart actually. Looks like there's a lot of fittings out of the Broom parts bin, although clearly a much more hire-focussed fitout. Looks very nice and I do like the side door next to the helm seat on that design. My reservations would be the curved shape of the bed would mean a foot hanging over the end for taller folk plus the twin cabin is very tight on floor space. It does look like there's not a huge amount of space generally, yeah. 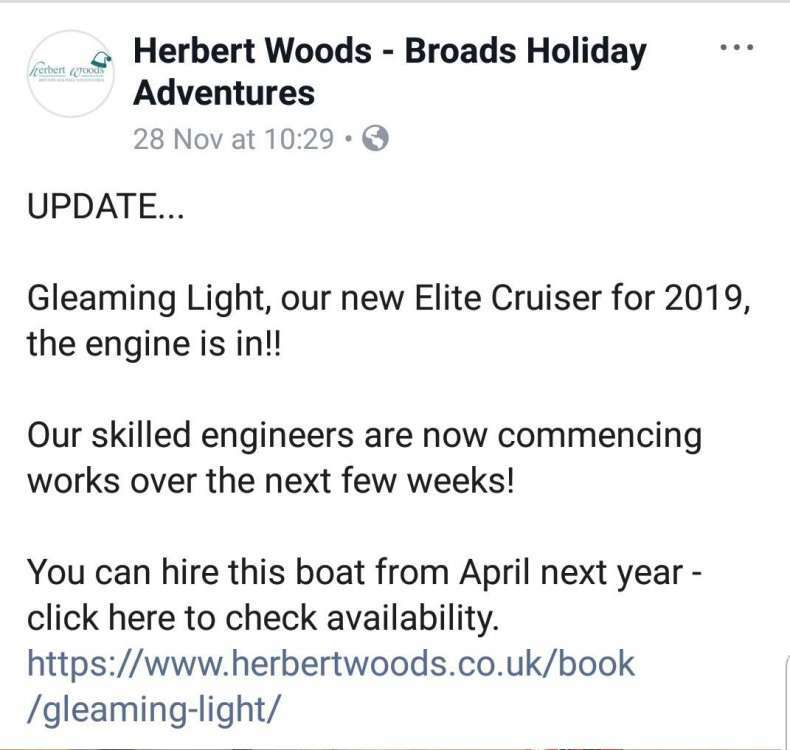 I did not want to comment here about this, or on the many posts on Herbert Woods Facebook about this boat, and I don't want to be sounding too negative since of course this is a lovely boat, especially for a couple or a small family - though not sure about four adults in that space. It is a good size, not too small or large so ticks the boxes of those who think hire boats are getting too large, but for the cost of hire and what you actually get onboard - I think they have missed the mark. Perhaps they just had to make the best of what they had but when you compare the design, fit out internally and the amenities provided with boats now coming from Ferry Marina, Barnes and Faircraft Loynes it does make Gleaming Light seem lacking and a bit past it before it even got going. Interesting. I see that Faircraft Loynes have gone for the Ferry Marina style of fit out with the galley in the bow of the boat, which is lovely when you're moored up and preparing a meal. I like Gleaming Light. That's the one style of boat we haven't hired yet but I have a feeling I would need to be stern on moored to stand a chance of getting off!! But looks like it would be a cosy boat for out of season hiring. Herbert Woods website, like many others I've checked out recently, has a much more modern feel than it used to. But I think they might be making their boats look very expensive. 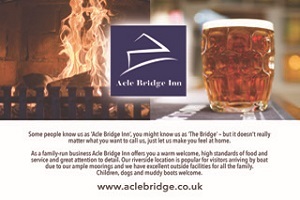 The price stated includes the fee waiver which is fine, but it also includes a £150 fuel deposit even for a short break. Knowing that we wouldn't spend anything like that in 4 days, the holiday looks way more expensive than it will turn out to be. We only used £41 of fuel on our recent trip. Now that is what you call a bedroom on the Faircraft Loynes Boat. If only we could have our time again. None of this mountaineering lark like on some boats. You do get the money back though Jean, we got a hefty refund even for 10 days in February. Good examples but if you get a refund on the fuel you are only out of pocket on a temporary basis? Also if a customer uses more fuel than the deposit (which does happen) the yard has to get them to cough up when they return. More often than not the customer cannot understand why they are being charged extra and will complain accordingly. The average punter has little comprehension about fuel consumption. If they get a refund however they feel quite chuffed. It's swings and roundabouts I know.